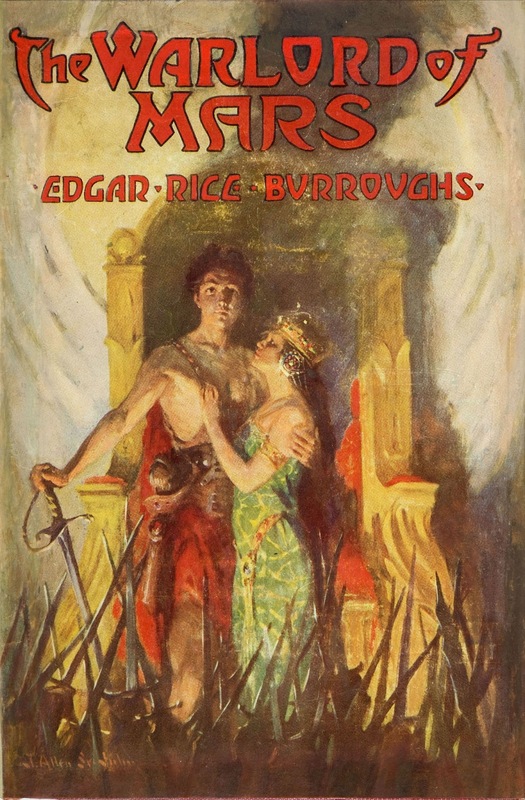 In A Princess of Mars (1917) by Edgar Rice Burroughs (1875–1950) culture is one aspect of human nature that is shown to transcend time and space across the universe. Dejah Thoris, the princess referred to by the title of the book, protests to her fellow Martians: ”Why, oh, why will you not learn to live in amity with your fellows… A people without written language, without art, without homes, without love… Owning everything in common, even to your women and children, has resulted in your owning nothing in common” (p 87). Echoes of this can be found in Huxley’s Brave New World, which was published fifteen years later in 1932. For many, communal living has been a human practice since the dawn of time. Even many religious leaders on Earth have prophesied to own nothing and share everything, a form of social ownership and cooperative management that has never quite caught on. But Dejah pleads otherwise, saying: ”You hate each other as you hate all else except yourselves. Come back to the ways of our common ancestors, come back to the light of kindliness and fellowship” (p 87). Here she is calling a path of all the green-men of Tharks to abandon a collective frame of mind and seek another avenue of living, exemplified on Mars by the red-men of Zodanga who resemble more the Romans in their manners of lifestyle. Dejah resembles a modern American attempting to force Democracy upon a hill-tribe of sheepherders. Not only does tradition not allow for such a sudden and drastic change, most of the people do not wish it to be so. Democracy is a nation by nation practice and still it is not the best form of government for humankind. Take a look at the crumbling empire of America, where the politicians must vote in order to see if they can vote (sounds like the indolent Greeks of olden times) and these same men and women are bought and paid to represent the super-wealthy national corporations and global conglomerates (sounds like the greedy Romans of ancient years) and not the meek, the people. Dejah has her delusions as well. No. A form of government to manage an entire planet, such as Mars, known as Barsoom, in this book or our own planet Earth, has not been created yet because no such thing has ever happened. 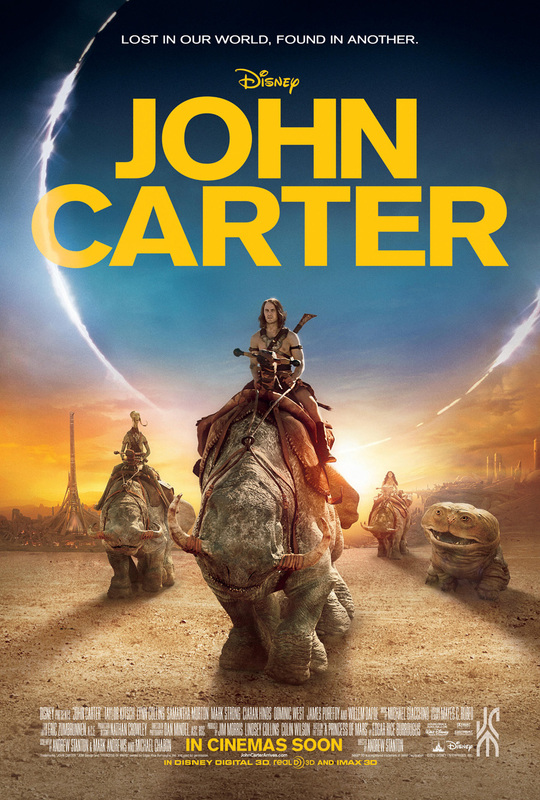 While on Mars, John Carter (the character was made popular recently by the film with the same name) first experiences the Tharks and the Warhoon hordes, both having communal structures of living and both treating John as a prisoner. Later, the people of Zodanga befriend John and provide him with food, clothes in the style of a Zodangan gentlemen of the house of Ptor, and some money. Here the individualistic society of the red-men in Zodanga offer their hospitality, illustrating a higher form of civilization on Mars (p 206-207). Another example found in the society of red-men on Barsoom is the issue of honesty. 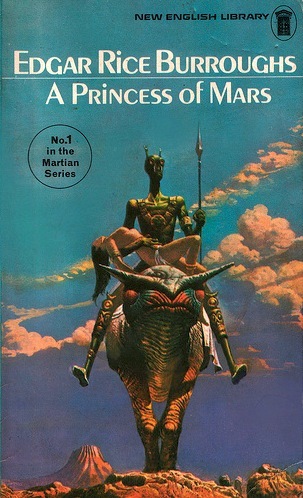 Dejah states that she does not know what a gentleman is and that ”on Barsoom no man lies; if he does not wish to speak the truth he is silent” (p 99). Again Burroughs is exemplifying how aspects of human nature are magnified on Barsoom as positive traits. 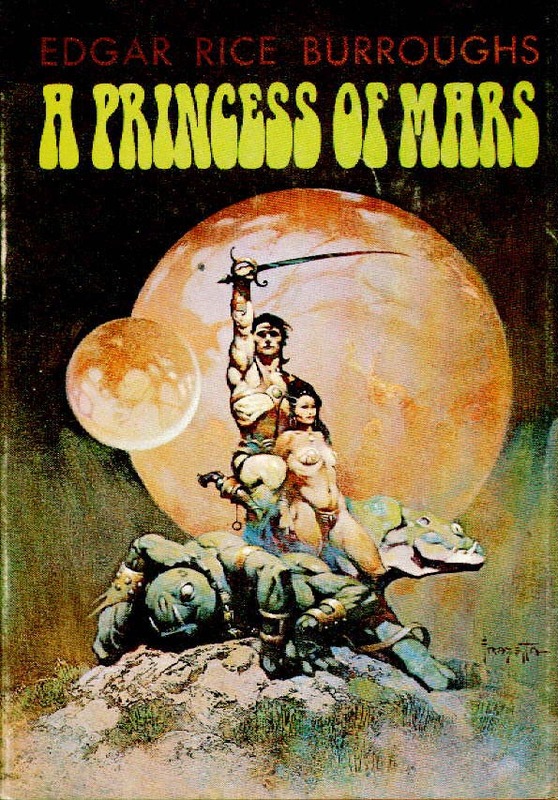 And Dejah continues with one of the most popular lines from both book and film: ”I knew that even though you became a member of the community you would not cease to be my friend; ‘A warrior may change his metal, but not his heart,’ as the saying is upon Barsoom” (p 117). At the height of World War I, which would end in November 1918, warriors were ever abundant and international friendships were also being tested at that time. Burroughs would have known this. The entire world would have known of this issue of an order of people seeking to establish unity and modernity over a communal and traditional period of humankind in Europe. 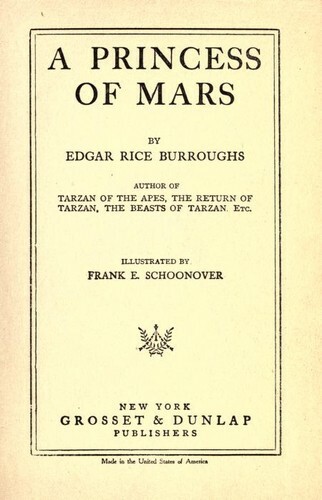 One can only wonder if Burroughs held a political commentary in this venture saga of John Carter, a Civil War vet, who finds himself fighting, like the Confederate Army did, for tradition on the foreign planet Barsoom. One thing is for sure, Burroughs had a way with words. And from one of the earliest uses I can find of the phrase ”a blaze of glory,” made famous in the last one hundred years, Burroughs still keeps impacting all of us, even if we may be unaware of such trifles. Carter is in mortal combat with Zad: ”We circled for some time without doing much damage on either side; the long, straight, needle-like swords flashing in the sunlight, and ringing out upon the stillness as they crashed together with each effective parry. Finally Zad, realizing that he was tiring more than I, evidently decided to close in and end the battle in a final blaze of glory for himself” (p 133). 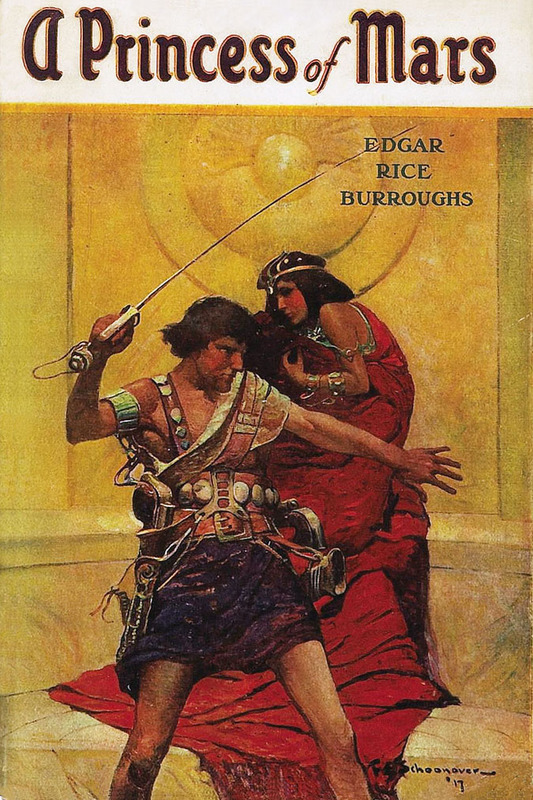 Burroughs still influences readers today with spin-offs that include Dejah Thoris and other graphic novels, pulp fiction and comic books. For a complete list of Burroughs’s Mars saga, see below. And with that I leave you with Bon Jovi and his little blaze of glory. And by the way, Burroughs is a strong recommend, whether for a fun adventure that sprouts deadly duels and a romance between a princess and a soldier or a political critique of the world that saw its first Great War. site is genuinely pleasant and the visitors are genuinely sharing pleasant thoughts.